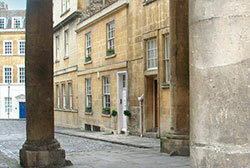 The following is an Access Statement for The Paragon, a Georgian Townhouse in the centre of Bath. 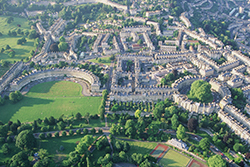 The Paragon is located near the city centre in Bath and is a two minute level walk from attractions, restaurants and shops. Nearest convenience shop is a Spar just a minutes walk away at the top of Broad Street and open until 8.00pm Monday to Saturday. There is a large Waitrose at the Podium Shopping Centre just two to three minutes away – down the ancient steps and turn right at the bottom. For details of disability equipment hire services and local Radar toilets see www.bathnes.gov.uk or phone Bath & North East Somerset Council on (01225) 477000. 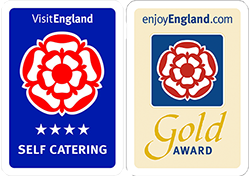 Local taxis can be booked via 01225 444444. Although Bath is best reached via public transport, cars can be driven up to the front door for loading and unloading but should be parked according to the following to avoid ambitious Traffic Wardens (lots of them). There is a Car Park a two to three minutes walk away, down the ancient steps, at the Podium Shopping Centre – reached via car along Walcot Street. There is a further nearby Car Park in Broad Street – best reached via car from Walcot Street and yet another Car Park a five to ten minute walk away in Charlotte Street (see map). There is single Yellow Line night time parking just a hundred yards along from 1a The Paragon in the direction of London Road but note this is only available from 6.00pm to 8.00am. There is a buzzer at the front door which can be heard on all floors (plus an old pull type butler’s bell which can only really be heard in the sitting room). The main front door entrance on The Paragon enters the house at Ground Floor level. There are two low level steps up to the front door. The visual only sign on the front door reads 1A and there is an electronic buzzer to the right of the front door which is audible on all floors (note, the old style brass pull / butler’s bell can only be really heard in the sitting room). We operate a meet and greet system and this should be organised by contacting Alex in advance on 01225 446037. Pets are not permitted at The Paragon. The Paragon is strictly no smoking. The Paragon is an original listed Georgian Townhouse and there are no lifts or escalators – only stairs. There is a central Georgian wooden handrail on spindles together with further original wall handrails running for most of the stairs. The colours in the main areas are stone coloured carpets, off white skirtings and stone coloured walls. There are no provisions for either babies or pets. As mentioned above, this historic property is spread over 6 floors. The main areas are all divided by stairs. There is fully fitted carpet throughout except for bathroom and cloakroom/shower room which have tiled flooring. There is a washing machine and dryer in the kitchen. The fully equipped kitchen is on the Basement floor and is reached via a short flight of stairs down from the Dining Room. The gated outside area at the front is paved and there is bench style seating together with two camelias. As regards disabled access, it should be emphasised that The Paragon is a listed Georgian Townhouse arranged over 6 floors. Although it is a level walk to the nearest shops and retaurants restaurants. The bedroom on the lower basement floor has an air vent to the outside instead of a window. It also has a further internal trickle vent. Specific requests should be made to Alex on 01225 446037 or emailed in advance to enquiries@theparagonbath.co.uk. A programme of continuous improvement. If you have any comments please phone 01225 446037 or email enquiries@theparagonbath.co.uk.